Hue is the crystalline place of a long-standing culture on the Perfume River, where the mark marks the glorious milestone in the history of national heroism. However, Hue when heading to the sea with the Lang Co bay suddenly brings a new beauty, incredible charm. This is the third bay in Vietnam, after Ha Long and Nha Trang are listed 30 beautiful bays in the world. 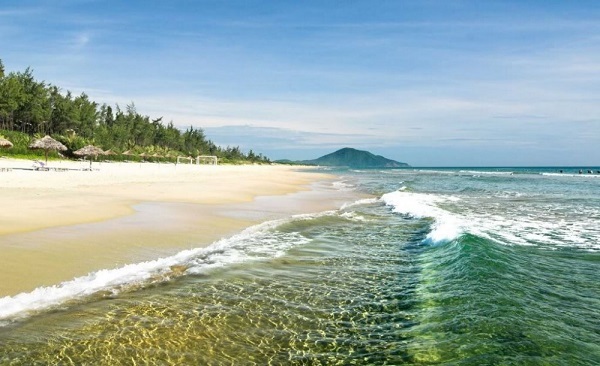 Lang Co Beach is about 10km long, located in Lang Co Town, Phu Loc District, Thua Thien Hue Province, next to National Highway 1A, near Hai Van Pass. Lang Co is an ideal place for those who love the sea. 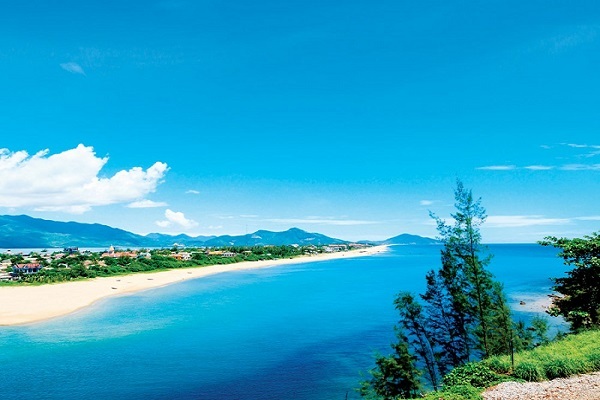 Located on the central coastal strip with many famous beaches, Lang Co with the beach, white sand, clear blue sea and average temperature about 25oC in the summer, is an attractive destination for tourists. domestic and foreign guests. With its charming natural scenery, stretching on the most beautiful curved shore of the country, Lang Co contains almost all that nature can offer: the green of tropical forests, the fine white sand , the sun filled and the sea blue cool, crystal clear. Lang Co has beautiful scenery and is suitable for vacation resort. In the past, King Khai Dinh (Nguyen dynasty) built a cave called “Hanh Tinh Viêm” (soothing heat) to keep the king and his empress in the summer. The French also left their mark here, related to the name of this land. Lang Co, which may originate from “Stork Village” or L ‘An Cu French pronunciation that made. Today, Lang Co attracts a lot of tourism investors in and outside the country, many modern resorts have been built. At this point, no one can resist the beauty and tranquility of Lang Co town. 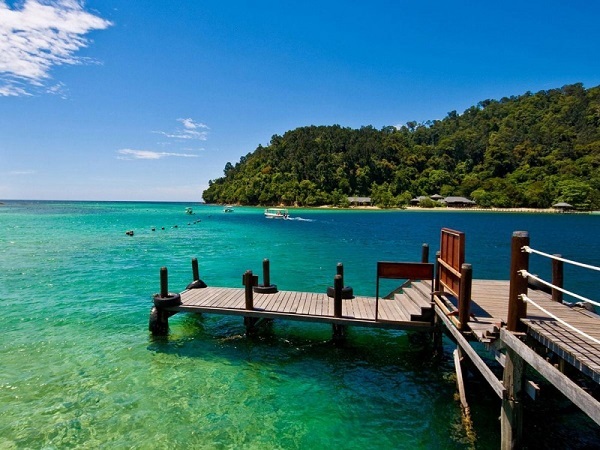 This small and peaceful town offers visitors great time to relax and many beach games. In addition, visitors can enjoy seafood dishes and visit some attractions such as Chan May, Lang Co fishing village near the beach. Located on the “Central Heritage Road”, Lang Co is very close to famous landmarks such as Hue Imperial City, Hoi An Ancient Town, Son Tra Peninsula, Son Tra Nature Reserve and many beautiful beaches. . 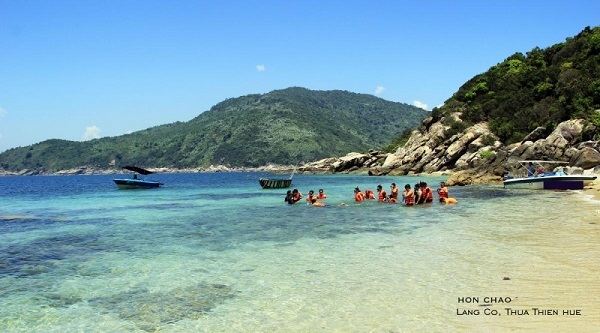 The beautiful scenery of Lang Co Bay, Hai Van Pass, Bach Ma National Park and the old fishing village here are always attractive to visitors because of the wonderful harmony between people and nature. Lang Co has contributed a small part to Hue to become a great tourist destination, from spiritual tourism to ecological resort. 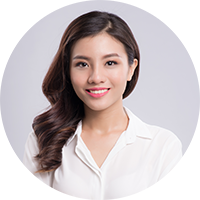 Lang Co is 60km from Hue city center but 40km from Phu Bai International Airport. If visitors to Lang Co from Da Nang city via Hai Van pass tunnel, only about 25km. However, the longer route over the Hai Van pass is still many tourists, especially the adventurous choice. They will have the opportunity to admire, breathtaking scenery, majestic and especially watching the romantic Lang Co bay from the high pass.